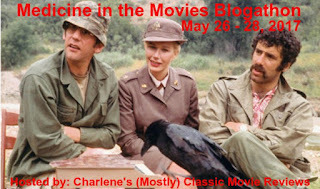 This is my entry in the Medicine in the Movies Blogathon hosted by Charlene's (Mostly) Classic Movie Reviews. Adrian Monk was born in 1959 to a later absent father and a rather over-protective mother. He had one brother, Ambrose (John Turturro), who later developed agoraphobia, and by the time of the first encounter on the series, remained a recluse in his childhood home. Monk is viewed by his brother as the braver, more adventurous brother, as a result, because Adrian actually went out into the world, got a job in the police department, and actually got married. Adrian did get married, and while his OCD tendencies were present during his tenure, he managed to be a productive officer. 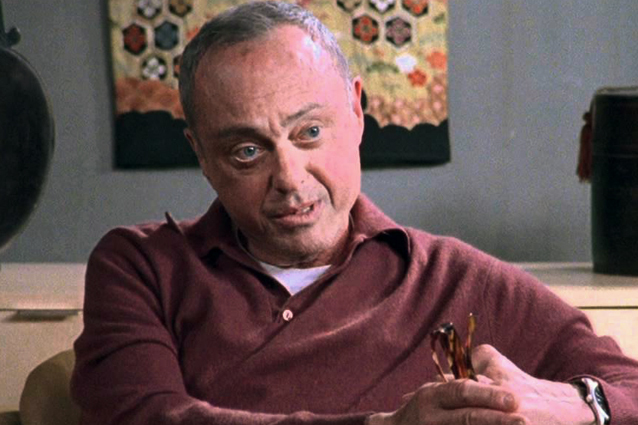 All this came crashing down when his wife, Trudy (sometimes seen as a halluciation by Monk in times of stress, played by Stellina Rusich in the early episodes and by Melora Hardin for the remainder of the series), was killed by a car bomb. Monk became catatonic and was out of it for a long period of time, but his boss, Capt. 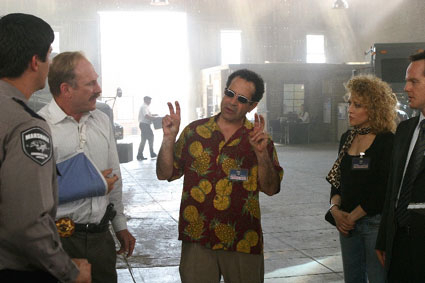 Leland Stottlemeyer (Ted Levine) hired a personal nurse, Sharona Fleming (Bitty Schram), to help him through this time. By the start of the series, Sharona has been with him for several years. She serves in the first two seasons as his driving force to get him to focus on his job, which is as a consultant to the police force. Sharona treats Monk as a patient but somewhat demanding person would a unruly child. Later, (after Bitty Schram left the series), this role would be taken over by Natalie Teeger (Traylor Howard), a former client who becomes Monk's assistant in his crime solving capers. Much of the series has, as a subplot, Monk's efforts to get to the bottom of who was involved and why his wife was murdered. (In fact, most of the series' final episode of the season centered on his attempts to do this.) 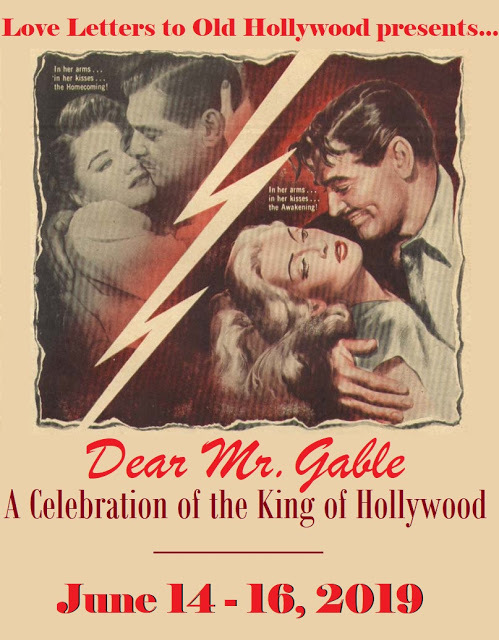 Because of his obsession with the loss of his wife and his inability to come terms with it until the mystery is solved, he spends time with a psychiatrist at regular intervals. 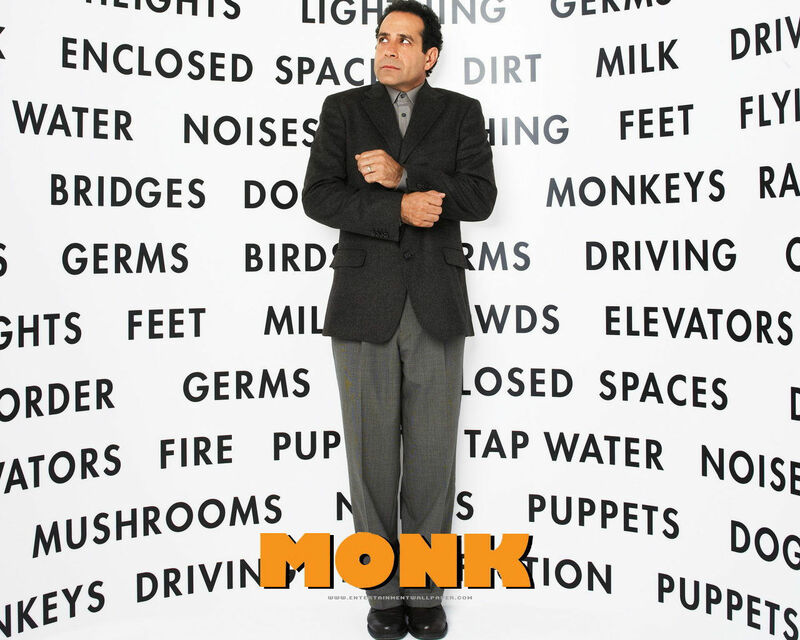 Monk has a list of phobias a mile long, including germs (he constantly cleans his hands after shaking hands or touching things that are dirty), heights (he's even afraid to get on the first step of a two step ladder), crowds (an extension of his fear of germs), and milk. Monk is usually immaculately dressed, but I guess he must have a phobia for ties, since he never wears one. maybe he just has a fear of strangulation, but then who, outside of a masochist, doesn't? It is significant that, not only does his assistant Natalie have to carry around a list of his phobias, but it is hinted at on at least one or two occasions that there is a ranking of the phobias in order of which is the most horrifying. It is a credit to his OCD that he has to rank them, I think. Monk's relationship with his psychiatrist is highly dependent, sometimes bordering on obsessive. In order to really delve into the psychoses of Monk, I have chosen a handful of episodes which center more or less on Monk and how he has to deal with Drs. Kroger and Bell. Most of the first two seasons of Monk only deal peripherally with Monk's relationship to his therapist. We continually find out more about the character, including his phobias and obsessions (including his need to have everything in order. At one point in season 2 episode "Mr Monk Goes Back to School" Monk pours decaf and regular coffee together in a teacher's lounge, in an attempt to make them at even levels, despite the fact that they are two different coffees). 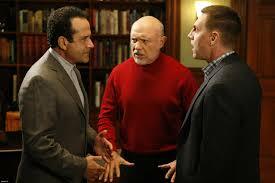 Season 3: " Mr. Monk Takes His Medicine"
One of Monk's fears is pills. At the beginning of this episode, Monk is extremely distraught over the apparent slow success (or lack of success) in getting cured of his psychoses. Kroger gives him some pills that are supposed to have some success in curbing depression, but Monk is reluctant to take them. However, when he is really down, at one point, he succumbs to the desire to be free of his depression and takes them. Kroger suggests only a half a pill at a time, but if you pay attention, when Monk takes them, he swallows two pills. There is a serious side effect to this overdose, however. Sure he loses his depression, but he also becomes extremely un-Monk-like. He loses most of his phobias, and becomes extremely rebellious. He also appears to lose the focus he usually has, and becomes mostly useless to the investigation of the crime he has been called in to investigate. Season 5: "Mr. Monk Gets a New Shrink "
This episode had one of the more direct and expansive involvements with Dr. Kroger. In it, the doctor's maid service employee, Teresa Mueller (Lisa DEmpsey), gets murdered while cleaning Kroger's office. The evidence initially seems to suggest that a patient of Kroger's was trying to raid his files and got caught, instigating a need to murder the woman. Eventually, to the relief of Monk own psyche as well as his relationship with Kroger, it is determined that it was NOT one of Kroger's patients who committed the crime. In the process of solving the case, however, we get to see a little more insight into how Monk's OCD has a hold on him. In one scene, he and Kroger are kidnapped, tied to chairs and put in the back of a van. Monk insists that they move themselves into a position resembling a session and Monk begins in as if it really were a session. 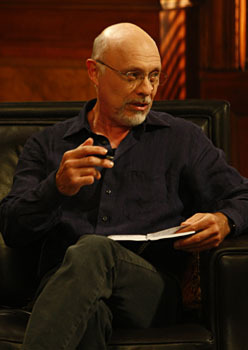 As stated earlier in this post, Stanley Kamel, the actor portraying Dr. Kroger, died between the end of season 6 and the beginning of season 7. In the series, it was established that Dr. Kroger had died, too. As a result, Monk had to find a new therapist. Enter Dr. Nevin Bell. It is a rocky start, of course, but Monk manages to establish a good rapport with Bell by the middle of season 7. 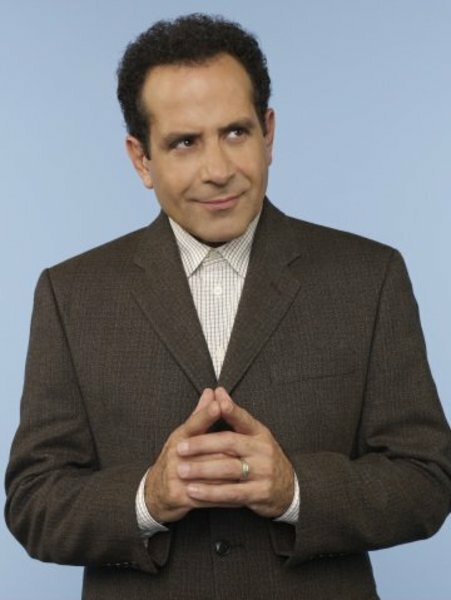 Season 7: "Mr. Monk Gets Hypnotized"
Seeing some success in Harold Krenshaw, due to Krenshaw's having gone to a hypnotist, Monk tries the hypnotist for himself. 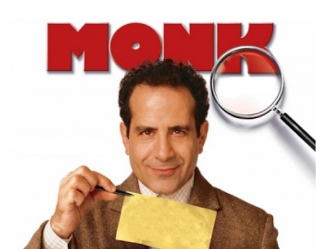 As in the episode "Mr. Monk Takes His Medicine", Monk has a disastrous side effect from the hypnotism and becomes extremely child like. (He finds and becomes friends with a pet frog he calls "Hoppy"). Dr. Bell tries to warn him beforehand of the unreliability of hypnotism, but Monk is, as usual, desperate to be "normal", so he ignores his therapists advice. 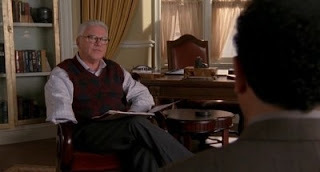 Season 8: "Mr. Monk Goes to Group Therapy "
Late towards the end of the final season of "Monk", our hero receives some devastating news from his HMO; he has reached the end of what his insurance covers in private sessions. Of course, Monk thinks this is the end at last, but it is established he can still go to his psychiatrist, but only to group therapy sessions. The problem with that is that Monk does not deal well with others, and the most frustrating part of it is his nemesis Harold Krenshaw is also a member of the group. The two are at constant odds with each other, as usual. And when other members of the group are being killed, both try to accuse each other of killing them so they can have Dr. Bell for themselves. The good news is that the series ends with Monk finally finding out the truth behind Trudy's murder and capturing the culprit. In the process, by that success, Monk becomes more like a normal, functioning human being. You should check out this series. "Monk" was awarded several Emmys, including a couple to Shalhoub as Best Actor. It is a very entertaining series. I definitely think I should check out this series. It sounds like the series really fleshes out Monk's character quite nicely, as well as displaying many angles of the devastation of living with OCD. 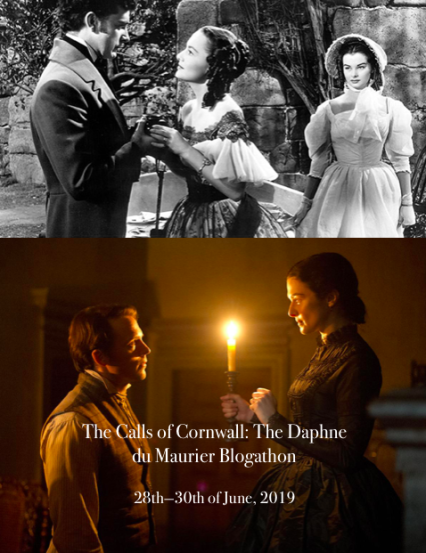 Such a detailed post, and I thank you for writing this for the blogathon! I won't tell you to watch them in order, because each one stands alone in the context of the history. I will tell you you should watch at least a dozen or so before you succumb to the 2 part finale so you get a feel for how desperate he is to solve the mystery of who killed his wife. Thanks for reading. I'd heard of this series, but had no idea what it was about. Like the previous commenter said, it sounds like it really examines what it's like to live with OCD. It's a mystery series. Typically it would be either one of several different types. 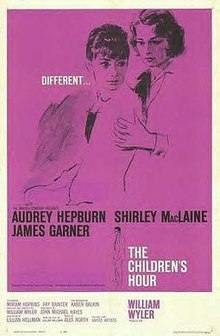 One was a straightforward attempt to solve the crime, and in other episodes it was like Columbo where you say the killer commit the crime then watched Monk pick up on the clues. Occasionally Monk would be absolutely certain from the beginning who was the culprit, but had to deal with what appeared to be an air-tight alibi. I suggest if you have time to binge watch the series. But if you don't have the time, there are a few that are standouts. 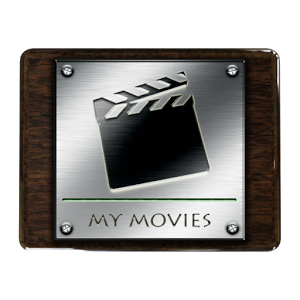 Email me through this site and I'll give you some recommendations.